Imagine being in a dark room. Can you see the objects lying around? Now turn on the lights. Suddenly, you see the room, the furniture, and the objects around you. This is because light rays reflected off these objects enter the innermost layer of your eye, the retina, and form an inverted image. The brain then processes this image and rotates it, enabling us to see the beautiful world. Despite facing an identity crisis as to whether it’s a particle or a wave, light plays a crucial role in helping us see. There is no sight without light. When light rays do not properly reach the retina, we have difficulty seeing things clearly. This causes refractive errors such as myopia (nearsightedness) and hypermetropia (farsightedness). Refractive error is one of the most common causes of vision impairment, and the second-leading cause of avoidable blindness around the world. According to the World Health Organization, about 153 million people over five years of age are visually impaired due to uncorrected refractive errors. Until the 13th century, if the world appeared blurred, it stayed blurred. From using a fish bowl filled with water to magnify reading materials, or using walrus ivory with a slit to cut off glare, to the present precision designs, lenses have evolved from their primitive beginnings. Advanced technologies have made lenses thinner and their images sharper. Two kinds of lenses are used to correct ocular difficulties: Concave lenses can correct myopia, and convex lenses correct hypermetropia. 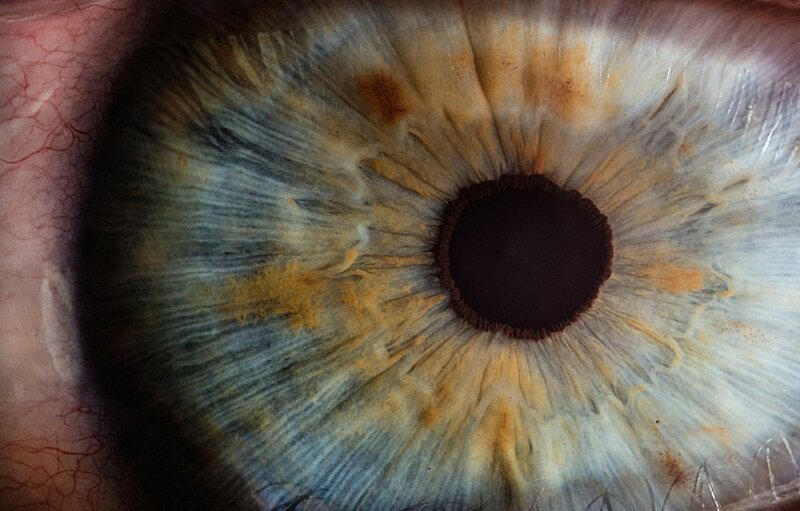 The total optical power of a normal relaxed adult human eye is +60D (dioptre, the unit of power). The cornea, the outermost layer of the eye, contributes about +45D of the eye’s total converging power, and the eye’s own crystalline lens contributes the remaining +15D. In myopia, the dioptric power of the eye becomes more than +60D due to anatomical changes in the curvature or length of the eye ball, making the light rays from distant objects focus in front of the retina rather than on it. To correct this, eye care practitioners prescribe concave, or diverging, lenses to bring the power back to +60D. When light passes through a concave lens, it causes the light rays to diverge before reaching the crystalline lens. The crystalline lens, which is convex, then causes the light rays to converge, making them fall on the retina, thereby increasing the image clarity. The image formed by a concave lens appears to be farther away than it actually is; that is, the image is smaller than the object itself. Imagine, for example, looking through your door’s peephole, which is made of high powered concave lenses: the person outside appears farther away than their actual position and smaller than their actual height. In hypermetropia, the power of the eye is less than +60D; this makes the light rays focus behind the retina, causing blurred near-vision. Convex, or converging, lenses are prescribed to bring the power back to +60D. When a convex lens is introduced in front of a hyperopic eye, it makes the light rays converge before they reach the crystalline lens. The shorter the distance between the convex lens and the object, the more the image is magnified. To illustrate this yourself, pick up a magnifying glass, introduce it in front of your eye and look around. The world around you appears blurred and not magnified. Now pick up a newspaper or book and bring it closer to the lens. As the distance between the lens and the object is reduced, the image becomes larger and clearer. In addition to myopia and hypermetropia, there exists another condition called astigmatism, where the lights rays have not one but two points of focus, blurring out the vision at different distances. Astigmatism can be myopic, where both the points of focus are in front of the retina; hyperopic, where the points of focus are behind the retina; or mixed, where the points of focus are both before and behind the retina. Cylindrical lenses of the appropriate power are used to treat this condition. Worldwide, there is an alarming rise in the prevalence of refractive errors, especially myopia, among all age groups. A recent study estimated that 30% of the world population is already myopic, with this number rising to 50% by 2050. But the good news is that 80% of visual impairment caused by refractive errors is curable. These conditions, primarily caused by genetic and environmental factors, can be corrected by a simple and inexpensive pair of spectacles.